Prof. Ashot Chilingarian is Director of Yerevan Physics Institute (YerPhI), named after Artem Alikhanyan and head of the Cosmic Ray Division, one of 5 divisions of YerPhI. He earned his Ph.D. in 1984 and Doctor of Science in Physics and Mathematics in1991 from YerPhI. From 1971 to 1993 he was a scientist, then senior scientist at the Yerevan Physics Institute. In 1993 he became the deputy director of the Institute as well as head of the Cosmic Ray Division. Since 1975 he has been a lecturer of Physics and Software Engineering at Yerevan State University (YSU). His expertise is in the sphere of high energy astroparticle physics, particle detector instrumentation and advanced statistical computation, including Bayesian and neural network models. His current interests include the Galactic and Solar cosmic ray origin and acceleration, detection of secondary cosmic ray fluxes on earth surface, Space Weather and supernovae explosions. Prof. Ashot Chilingarian has won more than 20 research grants from foundations such as the International Science and Technology Center (ISTC), International Technology and Science foundation (INTAS) and others. He is the author of the ANI (Analysis and Nonparametric Inference) computer code library, which has been extensively used during the last few decades for multidimensional analysis of data from modern cosmic ray detectors. He also introduced the "multidimensional nonlinear cuts" method for analyzing data from the Atmospheric Cherenkov Telescopes (ACT) and event-by-event analysis for Extensive Air Shower experiments. Under his supervision, the Data Visualization Interactive Network (DVIN) was developed for the Aragats Space Environmental Center. This project won a UN World Summit on Information Society award in Geneva in 2003. Discovery of charge dependent “knee” in energy spectra pointed on the shock acceleration initiated by the supernovae blasts as most probable mechanism of particle acceleration. Discovery of energetic protons (with energies greater than 20 GeV) accelerated in vicinity of Sun at 20 January, 2005 during Ground Level Enhancement (GLE) event N 69. Prof. Chilingarian is the founder of the Aragats Space Environment Center (ASEC), which is equipped with new hybrid particle detectors that simultaneously measure charged and neutral fluxes in secondary cosmic rays. He is also the author of the concept of world-wide network of new particle detectors for research in space weather and solar physics named SEVAN (Space Environment Viewing and Analysis Network). Nodes of the SEVAN network are now operating in Armenia, Bulgaria and Croatia. Prof. Ashot Chilingarian has been lecturing at YSU more than 30 years. He delivers courses on Neural Networks, Data Analysis, Introduction to High Energy Astrophysics, Models of Stochastic processes in Cosmic Ray Physics and other for students of Applied Mathematics and Physics departments. Recently he organizes Space Education Center in Yerevan Physics Institute. Outside his field, Prof. Chilingarian has been interested in applying his data analysis methods to pattern recognition and genome analysis. He was awarded a research grant from the Civilian Research and Development Foundation (CRDF) to develop new methods of DNA micro-array data treating based on quantification of different types of gene expression in normal and tumor-affected tissues. The work culminated in a patent application by Utah’s Huntsman Cancer Research Center. 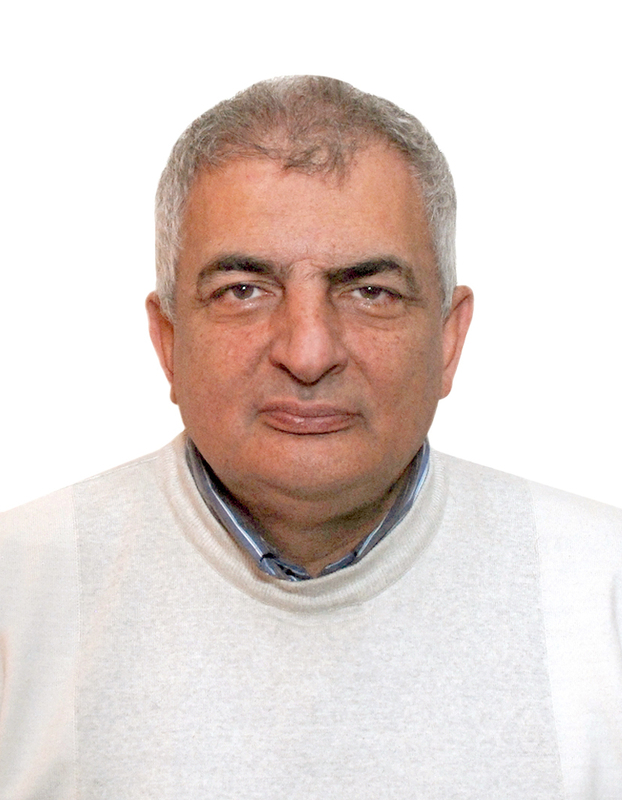 Prof. Ashot Chilingarian has authored ~300 scientific publications and served on many international scientific boards. He has been chairperson of several international conferences and given numerous presentations in the fields of high energy and cosmic ray physics and on new methods of data analysis. Currently he is Armenia’s representative to COSPAR (the COmmission for SPace Research) and International Heliophysical Year 2007, spokesperson for ANI and ASEC collaborations. In addition, he is on the board of the Armenian National Foundation of Science and Advanced Technologies (NFSAT).